hard-core players of all ages and both sexes! Retro Games Ltd. – those behind THEC64 Mini – have today made a number of rather excellent announcements, especially for all us classic gamers. The first being that the excellent Boulder Dash – in its original 1984 version – is to be pre-installed on the device. This is due to BBG Entertainment GmbH, leading producers and publishers of digital entertainment and therapeutic software giving the thumbs up to and Retro Games Ltd. The next blast of good news is the fact that the final games list has been announced as well as the machines release date! and the retro THEC64® Mini, join forces. Retro Games Ltd. and BBG Entertainment GmbH, a leading producer and publisher of digital entertainment and therapeutic software, announced today the marrying of two classics. BBG Entertainment’s reincarnation of Boulder Dash® in its original version from 1984 is now being pre-installed on Retro Games’ THEC64® Mini; a compact, modern take on the classic home computer system that first appeared in 1982, connecting directly to any modern HD TV. A classic game and a retro home computer platform finally join forces again. Boulder Dash® is currently available for Android™ smartphones and tablet PCs on the Google Play™ store; for the Apple iPhone/iPad on the Apple iTunes App Store℠ and for PC and Mac on Steam® in its Boulder Dash®-30th Anniversary™ version. Boulder Dash is also going back to its roots, being pre-installed in its original 1984 version as one of 64 retro-classic games supplied on THEC64® Mini, developed by Retro Games Ltd. The original Boulder Dash® was first launched in 1984 and is a pioneering game dating back to the early days of the home computer and video game era. Boulder Dash® and its many sequels have delighted and challenged casual and hard-core players of all ages for over three decades. Boulder Dash®-30th Anniversary™ is available for Android™ smartphones and tablet PCs on the Google Play™ store; for the Apple iPhone/iPad on the Apple iTunes App Store℠ and for PC and Mac on Steam®. Boulder Dash® is an innovative action-puzzle digging and collection game responsible for launching its own game genre. The game’s protagonist is called “Rockford”. 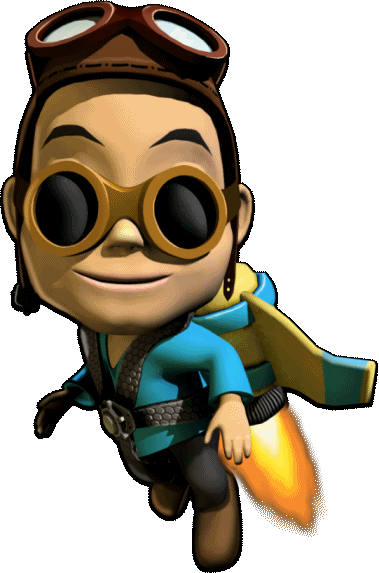 He must dig through caves collecting gems and reaching the exit within a time limit, while avoiding various types of dangerous creatures as well as obstacles like falling boulders and the constant danger of being crushed or trapped by an avalanche, or killed by an underground explosion. Boulder Dash® was first published by First Star Software, Inc. in 1984 on the C64, Apple II and Atari 4/800. Boulder Dash® has routinely found itself being ranked among the top most rated C64 games. In the USA, C64 Wiki ranked Boulder Dash® as the number 4 of all C64 games, in Europe it earned rank 31 on Lemon 64, rank 14 for all time C64 games at The C64 Gamesand was included in the top 30 by c’t Magazin in Germany. TheC64® Mini is the rebirth of the World’s best-selling Home Computer and is being distributed by Koch Media. It is a mini version of that original home computer and comes with a joystick and 64 fully licensed classic games. It connects directly to any modern TV. Launched in 1982, the C64 home computer went on to dominate the home computer scene throughout the 1980s. Millions of units were sold across the world and have a special place in the hearts of its former owners. 35 years later and it’s back. THEC64® Mini plugs into any modern TV via its HDMI port and gamers can play any one of the 64 licensed classic pre-installed games. This includes games from original legendary developers such as Epyx, Gremlin Graphics, Hewson and The Bitmap Brothers; and boasting titles such as California Games, Speedball 2: Brutal Deluxe, Paradroid and Impossible Mission. Most of these were rated over 90% by leading publications of the day, with many winning coveted awards. From sports to shooters, platformers to puzzlers, there’s a plethora of titles to keep the most discerning retro enthusiast happy. 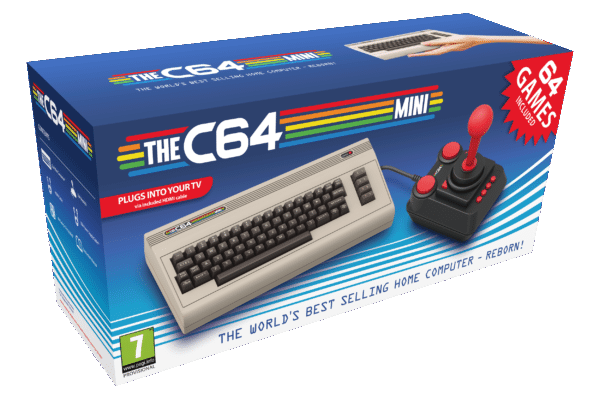 First in the range to be released will be THEC64® Mini. As befits a home computer you can also plug in a standard USB keyboard and use as a classic C64 to type in those old BASIC computer listings or program new games. THEC64® Mini will hit the shops in 2018 with a suggested retail price of // and will be followed by other models later. BBG Entertainment is a games developer and publisher headquartered in Munich, Germany. The founder and staff of BBG Entertainment have years of experience in the market for computer and mobile games, especially in the area of retro and casual gaming, and excellent contact with many renowned gaming companies for well over 20 years. BBG Entertainment offers games like Dynablaster™ and Einstein™ Brain Trainer. The year 2014 with the launch of MyBrainTraining™ Professional, an app- und browser-based cognitive training that enables use in tele-therapeutic settings, marked the change to the company focusing more on the development of therapeutic products. For more information about all BBG Entertainment products please visit www.bbg-entertainment.com. Apple, Mac, iPad, iPhone, iTunes und iTunes Store are trademarks of Apple Inc., registered in the U.S. and other countries. App Store is a service mark of Apple Inc.
Google, Android and Google Play are trademarks of Alphabet Inc., registered in the U.S. and other countries. Windows is a trademark of Microsoft Inc., registered in the U.S. and other countries. Copyright © 1984-2017 BBG Entertainment GmbH. All rights reserved. The original Boulder Dash® was created by Peter Liepa with Chris Gray. Steam® is a registered trademark of © 2017 Valve Corporation. All rights reserved. The developer of popular brain training apps such as Einstein™ Brain Trainer, of classic video games like DYNABLASTER™, and therapeutic programs such as MyBrainTraining™ acquired all rights to Boulder Dash®, a pioneering video game for all ages and sexes, to complete its portfolio. Munich, Germany – Sep.19th, 2017 – First Star Software, Inc. and BBG Entertainment, a leading producer and publisher of digital entertainment and therapeutic products, announced today the acquisition of the Boulder Dash® intellectual property, with all rights pertaining thereto, from First Star Software, Inc. The original Boulder Dash® is a pioneering interactive game dating back to the early times of the home computer and video game era being first launched in 1984. Boulder Dash® and its many sequels have delighted and challenged casual and hard-core players of all ages and sexes for over three decades. Boulder Dash®-30th Anniversary™ is available for Android™ smartphones and tablet PCs on the Google Play™ store; for the Apple iPhone/iPad on the Apple iTunes App Store℠ and for PC and Mac on Steam®. The original Boulder Dash® was created by Peter Liepa with Chris Gray and published by First Star Software, Inc. Boulder Dash® is an innovative action-puzzle digging and collection game responsible for launching its own game genre. The game’s protagonist is called “Rockford”. He must dig through caves collecting gems and reach the exit within a time limit, while avoiding various types of dangerous creatures as well as obstacles like falling boulders and the constant danger of being crushed or trapped by an avalanche, or killed by an underground explosion. Boulder Dash® was first published by First Star Software, Inc. in 1984 on the C-64, Apple II and Atari 4/800. After the original Boulder Dash®, the second game, BOULDER DASH® – Vol. 2 ‘Rockford’s Revenge’™ was combined with Boulder Dash® and published by Electronic Arts as Super Boulder Dash™ on the C-64, Apple II, IBM-CGA and Atari 4/800 from 1986-1987. The Boulder Dash® Construction Kit™ was published in North America by EPYX on the C-64, Apple II, IBM-CGA, Atari ST and Atari 4/800 from 1987-1988. It was also licensed for sale throughout the world including Europe, Scandinavia, Australia and Japan on MSX, NEC and various disk and cartridge platforms unique to these territories. In 1990, as a result of a license to JVC and a sub-license to Nintendo, JVC released an NES version of Boulder Dash® in North America and Nintendo published NES and Game Boy versions in Europe with Data East selling the NES version in Japan. In addition, Boulder Dash®, or its derivatives, have been released four times into the coin-operated arcades: twice by Data East (1985 & 1991), once by EXIDY and once by Mastertronics/Arcadia Systems as Rockford™. Mastertronics also published floppy versions of Rockford™ on C-64, Spectrum, IBM-CGA & EGA, Atari ST and Amiga. BBG Entertainment is a games developer and publisher headquartered in Munich, Germany. The founder and staff of BBG Entertainment have years of experience in the market for computer and mobile games, especially in the area of casual gaming, and excellent contact with many renowned gaming companies for well over 20 years. The year 2014 with the launch of MyBrainTraining™ Professional, an app- und browser-based cognitive training that enables use in tele-therapeutic settings, marked the change to the company focusing more on the development of therapeutic products. For more information about all BBG Entertainment products please visit www.bbg-entertainment.com. About First Star Software, Inc. Founded in 1982, First Star Software, Inc. develops, licenses and publishes games across all platforms including smartphones, tablets, hand-held devices, home computers and next generation consoles. Creators of numerous best selling and award winning video game titles including Boulder Dash® and the SPY vs. SPY series of games, millions of units of each series have been sold throughout the world. Other company classic hits include: Astro Chase™; BOiNG!™, Bristles™, Flip & Flop and Panic Button™. A privately held corporation, it is one of a very few surviving publishers from the early 1980’s that are run by the original founders. For more information please visit http://www.firststarsoftware.com. Boulder Dash® is a trademark of BBG Entertainment GmbH, registered in the US, the European Union and other countries Boulder Dash®-30 Anniversary™, Boulder Dash Deluxe™, the names and likenesses of Rockford™, Crystal™ and Goldford™ are trademarks of BBG Entertainment GmbH. Boulder Dash®-30 Anniversary™ and Boulder Dash Deluxe™ Copyright © 1984-2019 BBG Entertainment GmbH. All rights reserved. The original Boulder Dash® was created by Peter Liepa with Chris Gray.